In the Beef Jerky crane game, there are three things you can win. One is a t-shirt. The second is beef jerky. And the third...the third is unparalleled satisfaction. 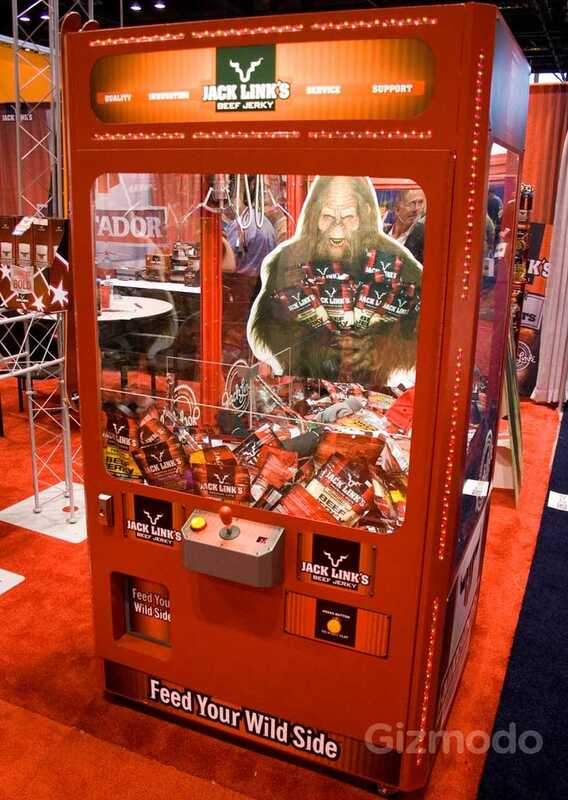 We spotted this little gem at the All Candy Expo in Chicago. Sponsored by Jack Link's, it wins points not only because it's filled with salty, dried meat, but because it required no quarters and the crane was actually capable of grasping at prizes. We'll be posting a few more sights from the expo over the next week, as soon as we get this I Got My Mind Set On You parody video idea out of our heads.